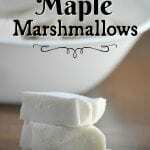 Have you ever wanted to try to make your own marshmallows? 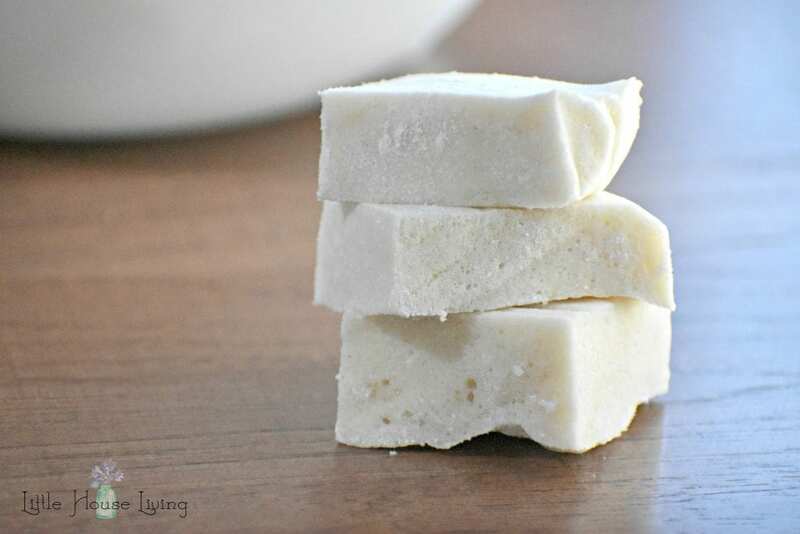 Our family just loves this homemade gourmet marshmallows recipe! Last summer we decided to create a firepit for our family to enjoy in our yard. What goes better with a firepit than a good marshmallow? 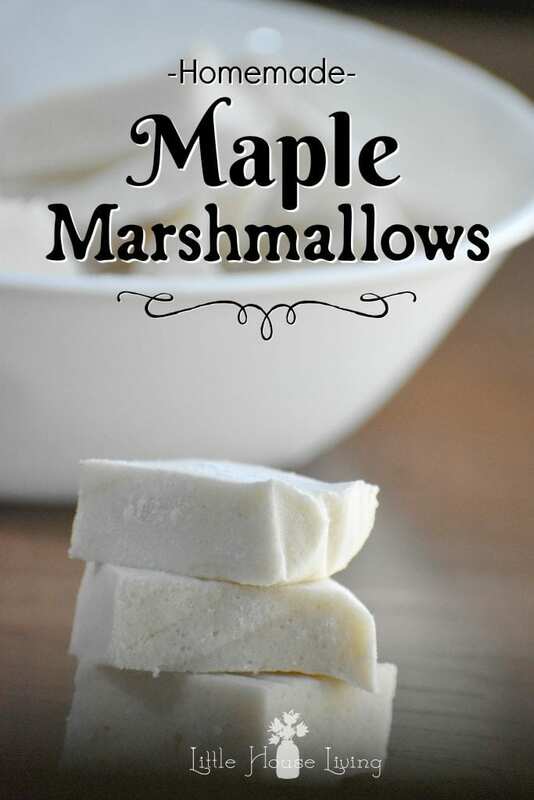 We struggle with finding a marshmallow that our family can enjoy from the store because of our allergies and I’ve made them before in the version of Homemade Peeps so I was pretty sure that I could figure out how to make them! 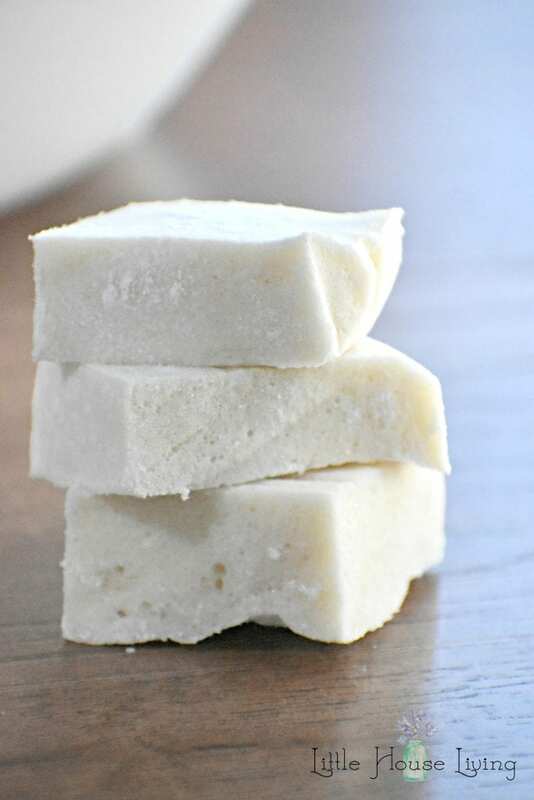 While our homemade marshmallows aren’t perfect for roasting over the fire (they tend to melt pretty fast, although they are still SUPER good this way), they are a delicious treat that we can all enjoy together. We also like to melt them on top of a yummy fruit crisp (like this Peach Cobbler). Oh, my mouth is watering…. Prepare your pan now because you won’t have time to do it later. 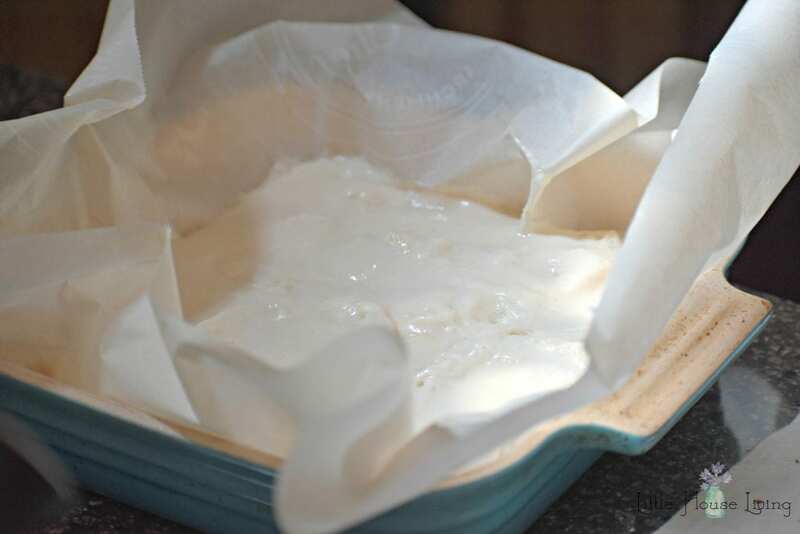 Line an 8×8 baking dish with parchment paper. 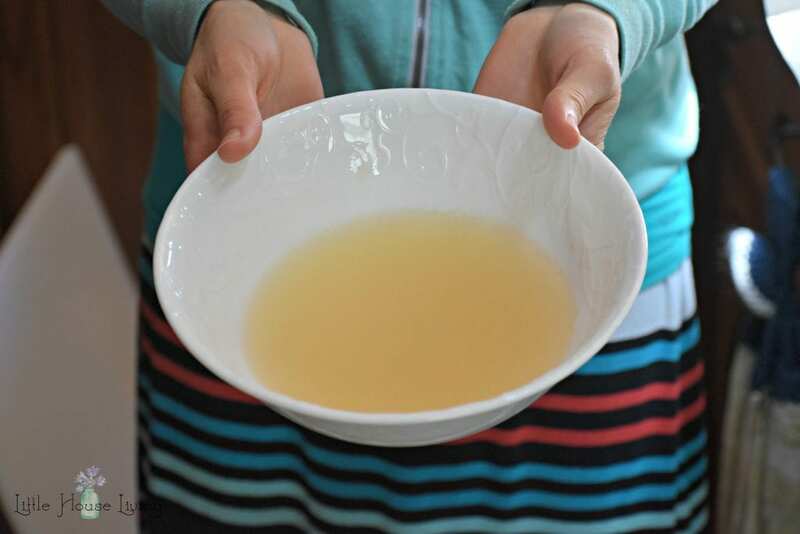 In a small saucepan, heat the maple syrup over a medium/low heat. 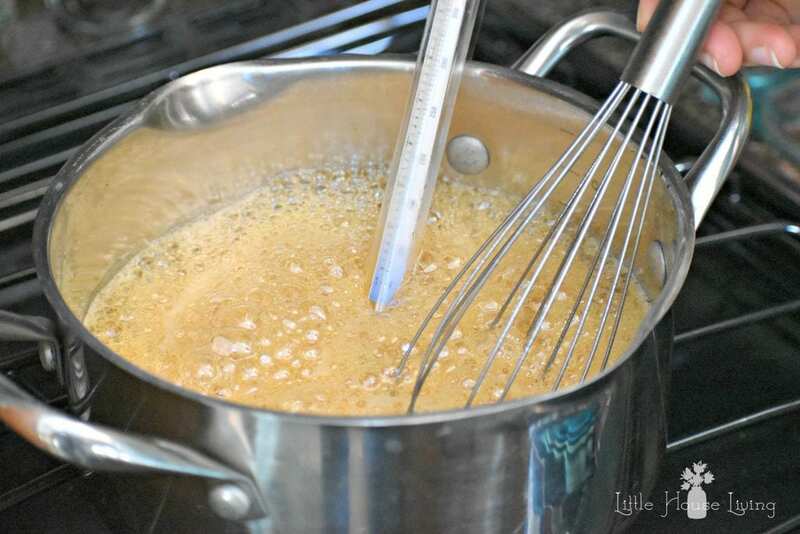 Use a candy thermometer and continually stir the syrup until it reaches 240 degrees. A candy thermometer is essential in this recipe to help it set up. You can find them for less than $5. 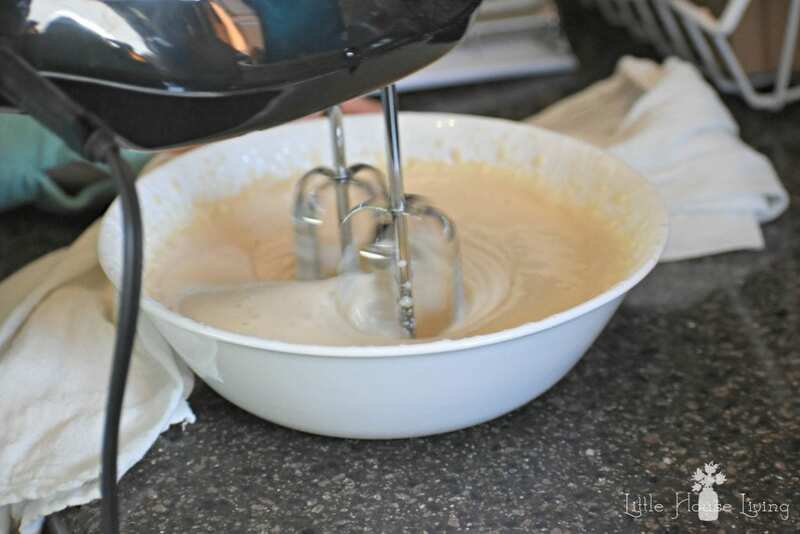 Pour the mixture into your 8×8 baking dish and even it out as well as you can. Place the pan in the fridge and let it set for at least 30 minutes. After your marshmallows have had time to set up, take them out of the fridge and sprinkle some arrowroot powder on the top. 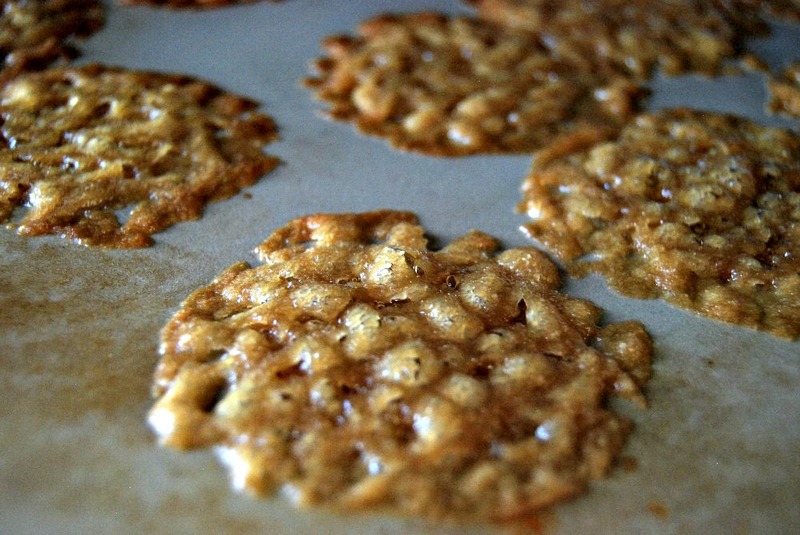 Pop the parchment paper out of the pan and then use a sharp knife to cut into marshmallow-sized pieces. 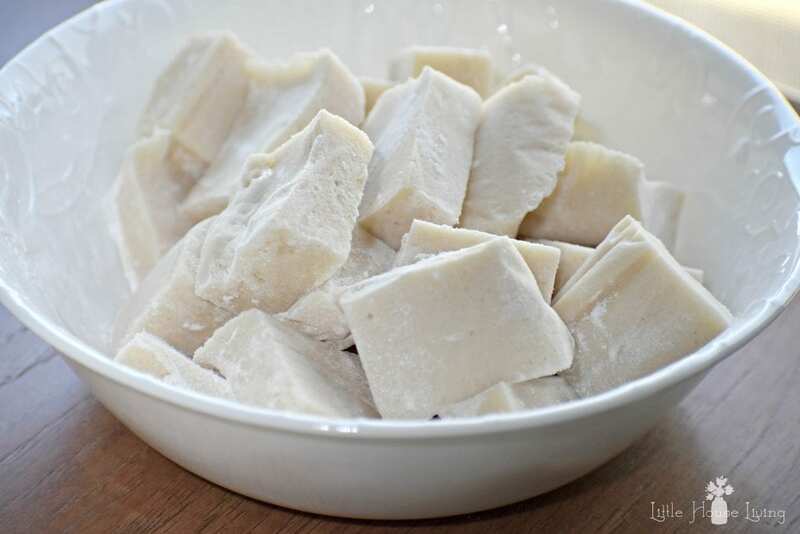 Place the pieces in a bowl or bag, and sprinkle with more arrowroot powder so they won’t stick together. Your marshmallows are ready to enjoy anytime! 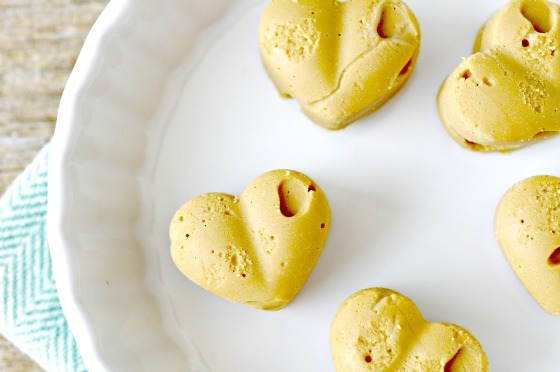 Print this Gourmet Marshmallow recipe below! Quantity of the maple syrup? vanilla? Not sure why they weren’t showing up. Fixed! Prior to the modern marshmallow, the marshmallow plant was used to make this. But it was made as a medicinal “candy” for sore throats and coughs. I had never thought to make my own marshmellows. I love maple flavor so I’ll have to give these a whirl. Thanks, Merissa! Your Marshmallows look like a very special treat! 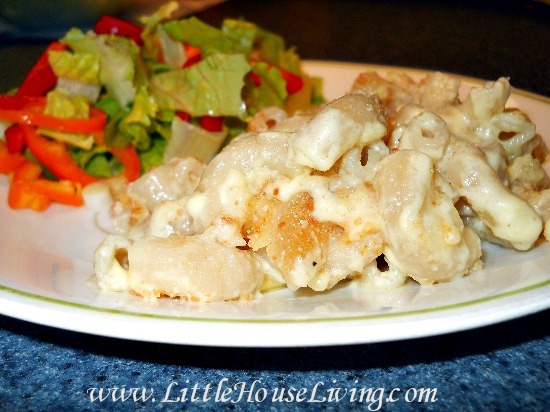 Hope you are having a great week and thanks so much for sharing your awesome post with us at Full Plate Thursday!